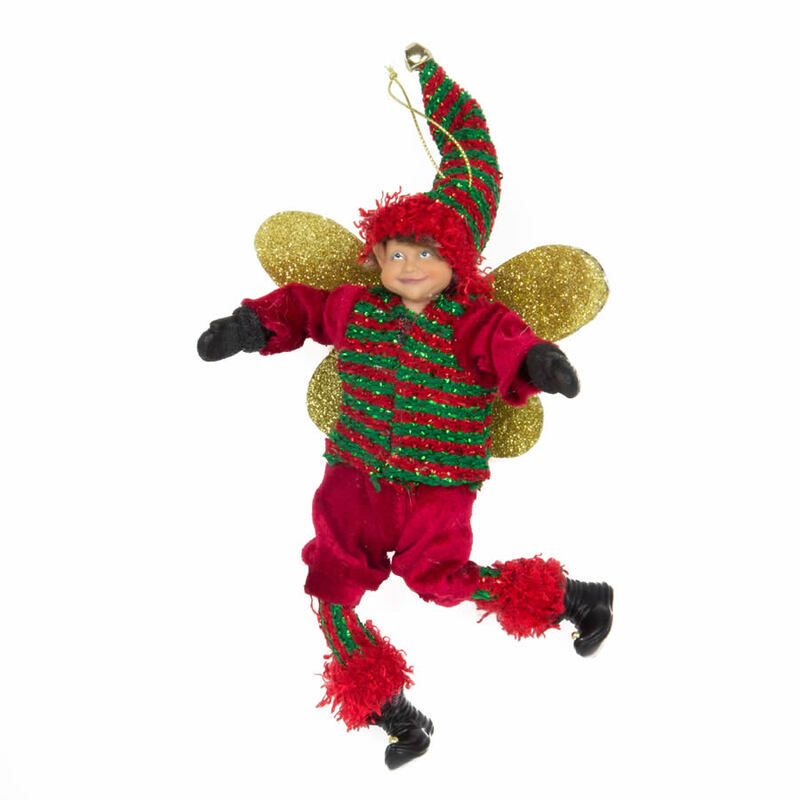 Give a charming and quaint touch to your holiday decor with this Elf with wings. This festive fellow measures around 8cm wide by 11cm in height, and is the perfect accent to add to your tree, a wreath, or a gift this season. This fun little chap is wearing a very bright and cheery ensemble that will seamlessly merge with your holiday decor and traditional colour themes. This sweet little elf has a mischievous smile on his face that might mean that he is up to no good! He wears an outfit of red and green that is accented to pair well with all of your favourite Christmas accent items. His golden wings are shimmering and sparkle, especially in the lights of your holiday tree. Give this to a friend or co-worker when you want to commemorate the occasion but don’t want to splurge on expensive gifts. Use this little elf as a clever accent when you tie the golden hang-cord to a wrapped present for someone special.